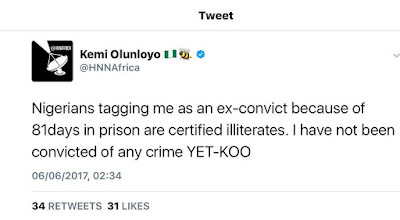 Controversial journalist Kemi Olunloyo, who was released from Port-harcourt prison after she was held for 81 days for criminal defamation is back again! Photo: Ladies, who’s your daddy? Photo: Why should men do such to a lady? Caption This Photo: Is This Eku Edewor Or A show doll?! Lolxxx..the mad woman of our time is back.